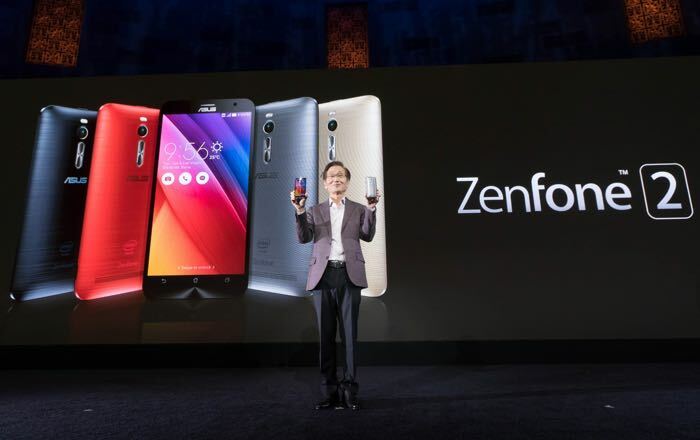 The current versions of the Asus ZenFone 2 come with a choice of either 16GB of storage and 2GB or RAM, or 64GB of storage and 4GB of RAM and now Asus is launching a third version in Taiwan. The new Asus ZenFone 2 will come with 128GB of built in storage an 4GB of RAM, the rest of the specifications on the handset will be the same as the other two models. The 128GB Asus ZenFone 2 comes with a 5.5 inch display that features a Full HD resolution of 1920 x 1080 pixels and the device is powered by a quad core 2.3GHz Intel Atom processor, the handset also comes with 4GB of RAM. Other specifications ion the device include front and rear facing cameras, the front camera is a 5 megapixel version and the rear camera is a 134 megapixel model. The Asus ZenFone 2 also comes with a 3000 mAh battery and Android 5.0 Lollipop, the device comes with dual SIM card slots. Asus will make the new 128GB version of their ZenFone 2 available in Taiwan tomorrow and the device will apparently retail for the equivalent of $387.